The perfect setting – beyond the magnificent facade of the Mansion House which greets guests on arrival, lies a 5 star hotel on the border of Hertfordshire and Bedfordshire, which is like no other in the home counties. Guests quickly discover that behind the imposing grandeur of Luton Hoo, the atmosphere is very relaxed and welcoming – perfect for informal, teambuilding activities. The pillared halls and elegant lounges, individual period rooms, formal gardens and the award-winning Wernher Restaurant create a unique ambience of gracious living which is without equal in the locality. The Country Club is set within a Grade II* listed Robert Adam courtyard – it offers a superbly appointed Spa, an indoor pool with a view onto woodlands and relaxed dining in the Adam’s Brasserie. Luton Hoo Hotel, Golf and Spa Venue provides the ideal location for team building events such as Get in the Zone, Real Life Clu’Doo, Escape the Box, No Ordinary Quiz, The Haka Experience, Murder Mysteries, Ipad Movie Making and much more! Location: Excellent transport links between St. Pancras and Luton Parkway railway stations. 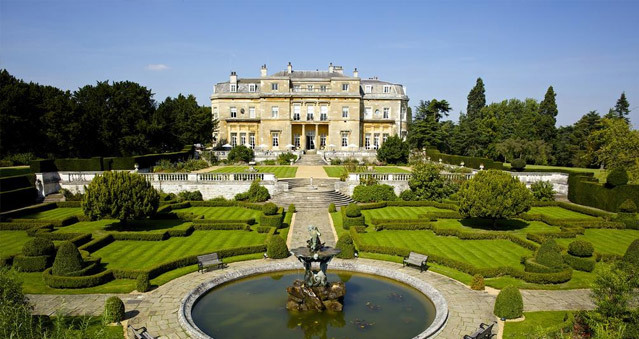 Luton Hoo Hotel is easily accessible for Luton airport.